In the brief respite between Christmas and New Year, I thought I'd write up the trip reports from our trips last month to Meteora & Pindos for a landscape photography workshop and to Kerkini for our winter birds photography tour... so here we go...! A very cold 6am rise next morning and still the dark of winter cloaked the mountains for our 15 minute drive up to the first sunrise location... by the time we had driven up and scrambled over the precarious rocks to start setting up tripods and cameras, the slimmest light of dawn had begun to sneak over the horizon. 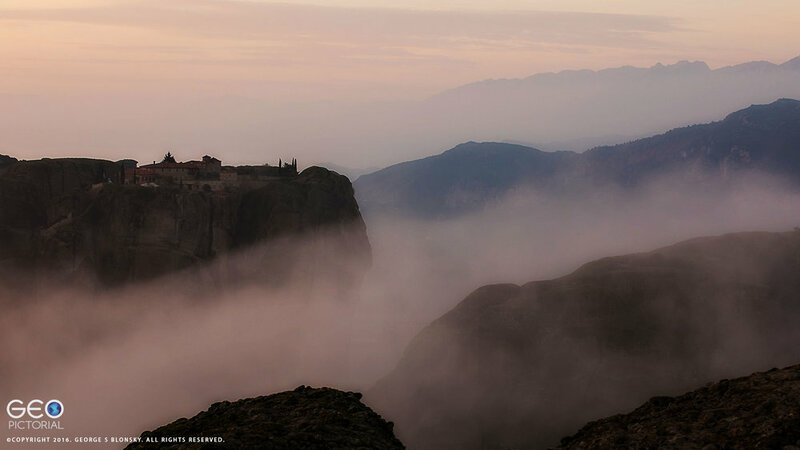 The sunrise shoot at Meteora is always a challenging one as the sun rises directly behind the Monasteries meaning multiple exposures to capture the beauty of the valley and monasteries as well as the breaking dawn sky... thanks to Tam for the above pic she took of me on her iPhone assisting Ciaran to set up for the shoot. 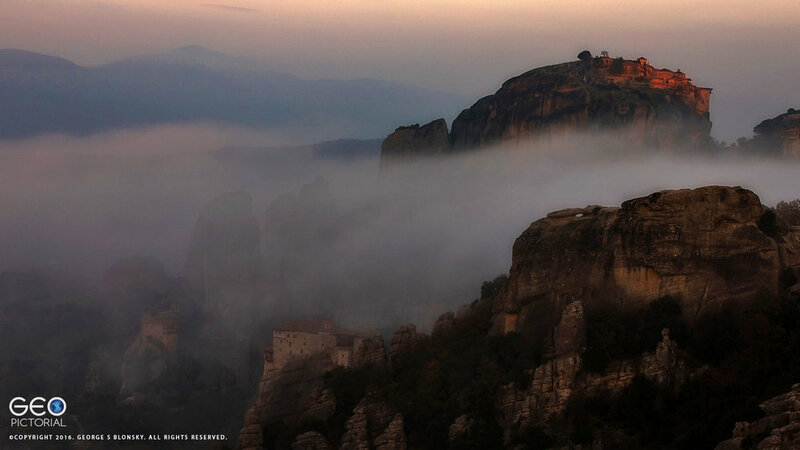 Cloud and mist roll through the valley beneath the Meteora during the first sunrise on our landscape photography workshop to Meteora and Pindos Mountains in Greece. 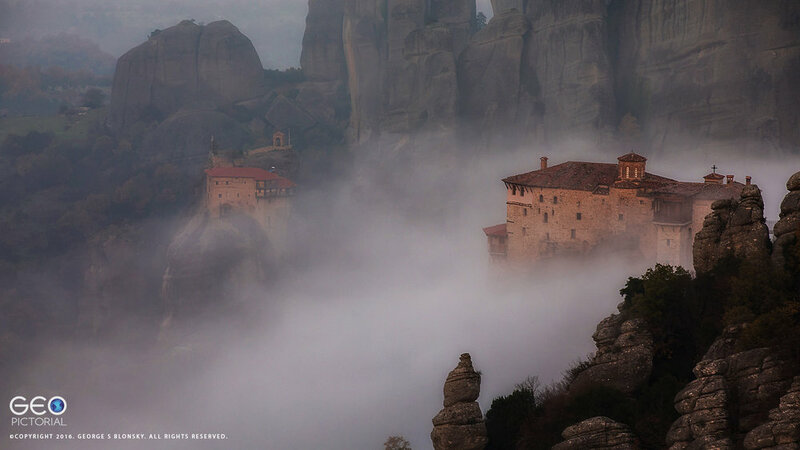 A very successful first day at Meteora..! ....evening back at the hotel and after yet another amazing meal in the village and a quick review of the day's images the team was enthused and thirsty for more.. so a decision was taken to delay the drive to Pindos by a couple of hours the next day and spend the next morning up at Meteora again but this time from a different vantage point with the sun behind us... once again the Gods did not diappoint... the sun came out, the mists rolled in, and fab photos were made..! Back down to the hotel again after another very satisfying morning.. full Greek breakfast and onward to the Pindos Mountains....!